High-ranking diplomats from Iran and Switzerland held another round of political talks between the two countries, exchanging views about a host of issues, including ways to boost bilateral relations in diverse fields. 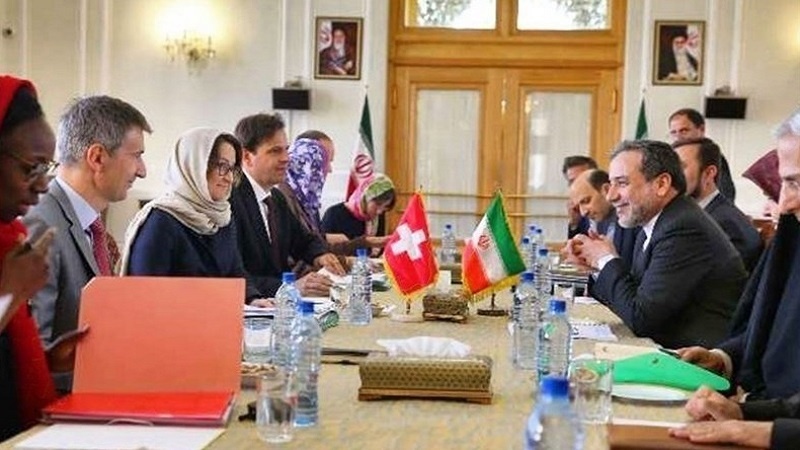 According to Tasnim news agency, the meeting was co-chaired by Iranian Deputy Foreign Minister for Political Affairs Seyyed Abbas Araqchi and Swiss Secretary of State for Foreign Affairs Pascale Baeriswyl in Tehran on Monday. The two sides discussed various topics, ranging from bilateral relations and judicial and human rights cooperation between Tehran and Bern to the latest regional and international developments. During the session, Araqchi and Baeriswyl also stressed the need to save the 2015 nuclear deal between Iran and world powers, also known as the Joint Comprehensive Plan of Action (JCPOA). The meeting was held as Iran and the remaining parties to the JCPOA have been in talks to save the accord following the US exit. On May 8, the US president pulled his country out of the JCPOA, which was achieved in Vienna in 2015 after years of negotiations among Iran and the 5+1 group. Meanwhile, Leader of the Islamic Revolution Ayatollah Seyyed Ali Khamenei has underlined that any decision to keep the JCPOA running without the US should be conditional on “practical guarantees” from the Europeans.